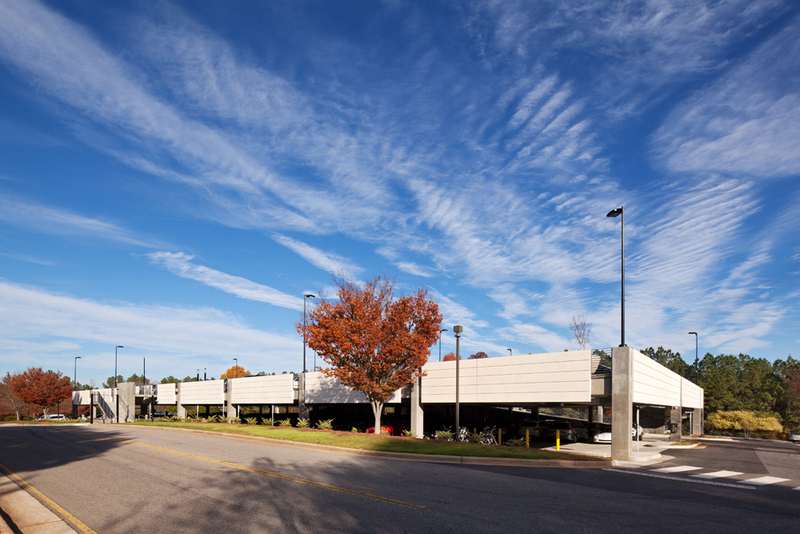 Stewart performed as Prime Consultant for this two-story, 211 space parking deck for the SAS campus in Cary, NC. The structure is post-tensioned concrete slab supported by post-tensioned concrete beams and concrete columns. The foundations are spread footings on stone reinforced with geogrid, and the lateral system is concrete moment frames. 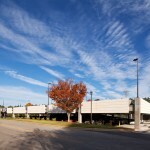 In addition to providing structural and geotechnical engineering services during design, Stewart managed and coordinated the efforts of the architect, electrical and plumbing engineer, and civil engineer. Stewart also served as the main point of contact with SAS and was responsible for managing the permitting and building permit approval process with the Town of Cary. During construction, Stewart serves as the main point of contact with the Contractor and is responsible for holding weekly site meetings; reviewing all submittals, pay applications, and change orders; and responding to all RFI’s. Stewart’s scope of work also includes earthwork and concrete sampling and testing. 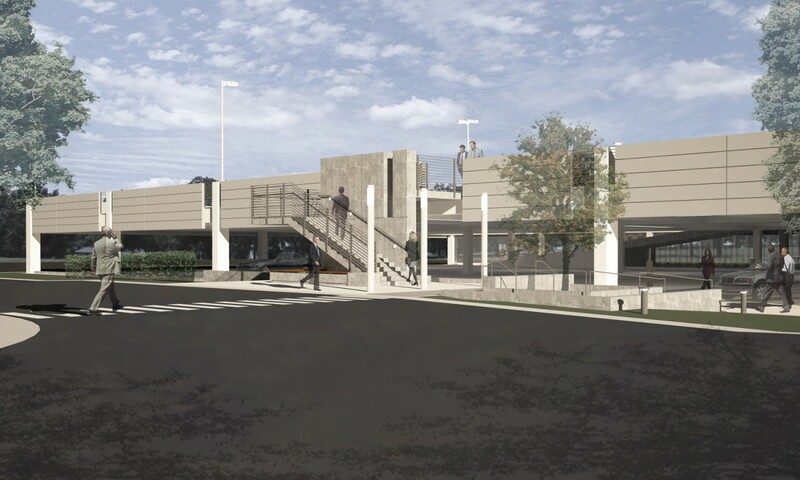 Stewart’s challenge was to limit the impact to the existing surface parking during construction while providing a deck with the maximum number of spaces for the given area. 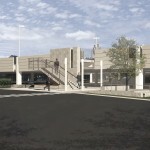 This was overcome by providing one way traffic flow to and from the elevated parking.